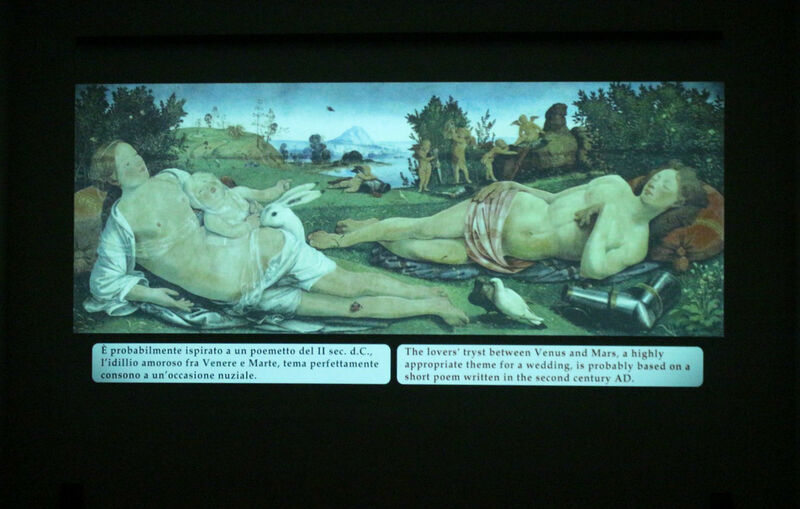 After being hosted at the National Gallery in Washington DC, the exhibition on Piero di Cosimo moved to the Uffizi Gallery, where it will stay from June 23rd to September 27th. Piero di Cosimo (1462-1522) was a Florentine painter, contemporary to Botticelli and Leonardo Da Vinci in the most flourishing season of the Florentine Renaissance. Piero was a lonely and bizarre man, who didn’t care about social conventions. He was immersed in his fantasy and art and considered a waste of time even eating and sleeping. He prepared eggs cooking them in the glue he was boiling to be used in his paintings, he couldn’t stand any noise that distracted him from his work like children crying, or bells ringing or friars singing, and he was scared by thunderstorms, but he loved to walk into wild nature, getting enthusiast at a butterfly, a flower, or everything else that he was ready to depict in his paintings. His first works were influenced by the Trittico Portinari by Hugo Van der Goes (Uffizi gallery), a magnificent painting that was commissioned by the director of the Medici bank in Bruges and shipped to Florence. He joined Botticelli in representing ancient Greek mythological characters, a tendency that was established in the late 15th century thanks to the Medici family and their neo-platonic academy. In 1501, the return of Leonardo Da Vinci in the Republican Florence (and also the presence in town of Michelangelo and Raphael), was a turning point in the style of Piero di Cosimo. His works became filled with affection, including his best work, the Madonna and Child with angels, today at the Fondazione Cini in Venice (and part of the exhibition), where Jesus, held by a smiling Mary, embraces an angel and stops the music, pulling the bow from the violin. Only a genius and an excellent poet could have imagined such a scene. In the rooms dedicated to the exhibition, it’s not possible to take pictures. That’s why I couldn’t add a photo gallery. 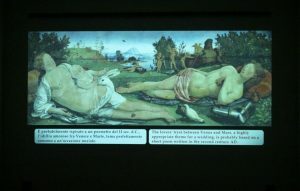 The picture above is related to the nice multimedia room where a video with text (in Italian and English) explains in detail the works by Piero di Cosimo.